You can run, but you can’t hide in Dying Light. What you can do, is outrun the un-lifed bastards who are hungry for your flesh, using parkour to vault over obstacles and obstructions. And sweet Savini, it’s a system that makes yet another zombie game actually stand out. Going for a proper hands-on, the Techland experience gave me two distinct flavours of Dying Light. In my first go, I was near the start of the game, a fresh-faced survivor with few wits and even fewer skills. This is where the game takes off, as players are given the chance to with be a coward and haul arse whenever trouble beckons, or go full Shaun of the Dead and start kicking some rigor mortis right in its face. Either side of those approaches can be levelled up, with your actions constantly building up experience on a meter. Peak that level up, and you’ll get a skill point which can unlock further perks in your preferred play style. But back to the controls. 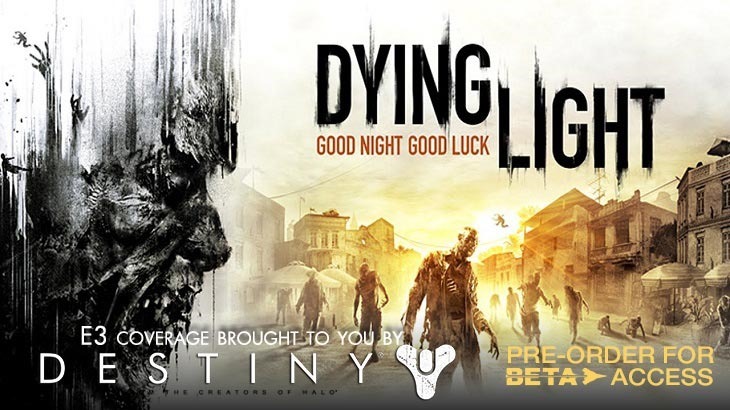 Dying Light has a fluid system of control, with the right bumper being used to clamber and jump over obstacles. It’s a simple system, but combined with the design of the abandoned cities and infected homes around you, makes for some interesting locomotion with no limits. Throw in so,e investing weapons, such as an axe that has been Jerry-rigged with electricity or flaming machetes, and you’ve got a surprisingly fun game. Well, at least during the daytime segments. Once the sun sets, the undead become right bastards. They’re tougher, faster and they’ll climb after you one they catch your scent. And that’s just the regular hordes. A deadlier strain of the infected will hound you down, as they possess even more tenacious skills for hunting. And that white-knuckle ride helps divide Dying Light into a game that is just superb on multiple fronts. It looks great, the controls are solid and the threats are constant. It’s a zombie apocalypse where you can do more than just survive.